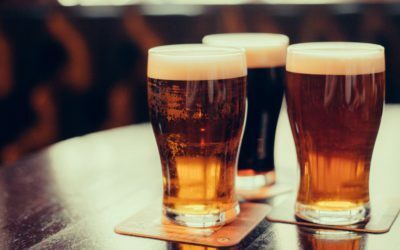 According to the website A Perfect Pint, beer is an alcoholic beverage usually made from malted cereal grain such as barley that is flavored with hops (female flowers of the hop plant that impart a bitter flavor) and brewed by fermentation with yeast. (The fermentation process is what creates the alcohol.) Some craft beers are made with grains such as rice, corn, or sorghum instead of barley.